The Camaya Coast is one of the many beach resort . located with a residential development in the provice of Marivelesin Bataan, Philippines. The beach resort measures about 450-hectare (1,100-acre) community includes commercial and residential developments, which also includes six subdivisions. The beach resort has a total coastal length of around 3.2 kilometres (2.0 mi) total, which includes two coves. Camaya coast, tag as the little Boracay of Bataan which is being promoted by the developer. You may also see some several waterfalls and a river running through the area. The resorts name came from the original name of the town Mariveles, which originate to Camaya. Camaya is the former name of the town mariveles. Manuel Carlos Ilagan Jr,is the President and CEO who led the resort and being developed by the Earth and Shore Leisure Communities. 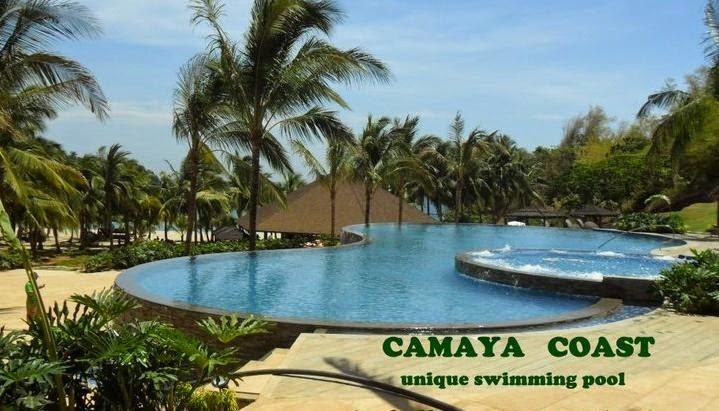 The development of Camaya Coast is being promoted as a green or environmentally friendly community, which includes the sewage treatment plant and a silt trap, which meant to keep the area clean and safe while maintaining the balance of natural elements. the buildings in the development are constructed with a material called Platform Panel, made by Plastech Industrial Systems. The material itself is lightweight and easy to handle which eliminates the use of timber and plywood, and the cost for plastering. Camaya Coast also features and currently holds a restaurant, an infinity swimming pool, an event hall, and a boutique hotel. Camaya Coast had huge tourist potential, as it was already bringing significant tourism to Bataan in general, and he was optimistic about its future. No Comment to " Camaya Coast "The Boracay" Of Bataan "